If you’ve been charged with a DUI in the bay area, call our award winning Oakland DUI Attorney for a free consultation today. You may have thought that a charge of driving under the influence (DUI) is something that only happens to other people. DUIs are for careless teenagers and irresponsible adults, right? You always said you knew when to say when. You knew when it was safe to head home or when a taxi or Uber was the right way to go. Yet suddenly, there are flashing lights in your rearview mirror, and an officer is making you blow into a breathalyzer at 2 a.m. The old “one more for the road” is ending in a night on a cold jail cell floor. Sitting in a cell is never where you want your night to end. Losing your ability to drive is not only hard to explain, it will create a lot of hardship in your everyday life. It’s important to remember that no DUI case is hopeless, and finding an experienced Oakland DUI Attorney should be your first move.  Calling attorney Elliot Silver will be your best option. With a career built around finding the best outcomes in tough situations, Elliot has the wealth of knowledge and skill to properly review your case and find the angles that give you an edge. Don’t let a DUI dictate the rest of your life. Call (510) 995-0000 today and schedule a free, initial consultation with Silver Law Firm. If you are underage or driving a vehicle that requires a commercial driver’s license (CDL), the legal limit is different than the standard .08 percent. If you are a CDL holder and driving a truck, bus, or other commercial vehicle, then you can be charged with a DUI for a BAC at .04 percent or higher. If you are under 21 years old, California has a “zero-tolerance” policy, meaning you can be arrested for a DUI with any amount of alcohol in your system. A first-time DUI is a misdemeanor punishable by up to six months in jail, a $1,000 fine, and a possible 10-month license suspension that is convertible to restricted driving privileges based on eligibility. While you are likely to be able to avoid actual jail time for a first offense, if convicted, you will not be able to avoid expensive fines, a driver’s license suspension, DUI classes, and probation. If you are facing a second or subsequent DUI, a DUI with a BAC of .15 percent or higher, or a drunk driving accident, you’ll receive an enhanced sentence upon conviction, which could include a lengthy jail term. If you are under 21 years and your BAC test comes back with a result of .01 percent or more, you may be arrested and charged with an underage DUI. Facts that will aggravate your DUI offense to be charged as a felony include: if you caused another person’s injury or death while driving under the influence, you had three previous DUI convictions in the past 10 years, or a previous DUI that was a felony. You can be charged with a DUI for impairment caused by drugs, including controlled substances, prescription medications, and over-the-counter products. While medical and recreational marijuana are legal in California, it is still illegal to drive while impaired. If you are pulled over and test positive for a psychoactive amount of tetrahydrocannabinol (THC), then you can be charged with a DUI. Like a typical, first-time, alcohol-related DUI, this is a misdemeanor. However, if you are high and you cause an accident that seriously injures or kills someone, you will be charged with a felony. Have you been charged with a crime? Contact Silver Law Firm today. 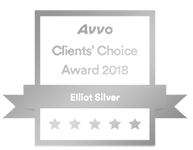 With an attorney of Elliot Silver’s caliber, you can ensure your case is in good hands. When your driver’s license is at risk of being suspended, a strong lawyer will argue on your behalf at the administrative hearing with DMV. The DMV wants to restrict your ability to get to work, how your kids get to school, or how you simply get around town. Attorney Elliot Silver will fight to keep your license active. At Silver Law Firm, we are here to help you throughout the entire DUI process, from getting you out of jail as soon as possible to fighting for the minimum punishments upon conviction. With us by your side, you will never be alone or confused. Elliot prides himself on staying in constant contact with every client. Whether it’s by email, a call, or a text message, you will always have answers to your questions and thorough explanations to each of your options. 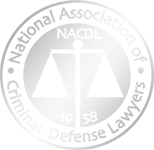 We offer guidance on when you must appear in court, what to expect at court hearings, and how to best defend yourself. If you refused to submit to a BAC test upon a valid arrest or had a BAC above the legal limit, you will automatically lose your license. This is known as an Administrative Per Se suspension. An automatic license suspension is an administrative consequence, not a criminal punishment. You must appeal this suspension through the California Department of Motor Vehicles within 10 days of receiving notice, which is usually the same day as your arrest. The typical DUI sentence might include some jail time, a fine, DUI classes, a license suspension, and probation. Instead, your attorney will negotiate the use of alternative DUI sentencing like house arrest, electronic monitoring, community service, alcohol abuse treatment, or work program. While a DUI will be removed from your driving record after 10 years, it will remain on your criminal record forever unless you do something about it. If you completed all of your DUI punishment, including probation, you may be eligible to petition the court to expunge your DUI conviction. Attorney Elliot Silver knew from a very young age that he wanted to speak up for those without a voice. He has a presence that commands attention in any courtroom. You can be sure he’ll be speaking for you. To learn more about DUI charges in the Oakland area and how Silver Law Firm can help, check out our DUI FAQs and contact us today. Use the online form or call (510) 995-0000 to schedule a one-on-one consultation to discuss your DUI case and what it will take to obtain the best possible outcome.